The Master Brewer combines tranquillity and comfort with an ideal location for dining, conferences and business meetings, or simply meeting friends, and has a banqueting suite for up to 180 people and three function rooms. The restaurant serves a range of steaks and grills complemented by daily speciality dishes and is popular for its traditional Sunday roast. The comfortable and welcoming bar and lounge offers a hot and cold lunch menu and light snacks which are available all day. The reputation of the Master Brewer is built wholly on our attention to detail and service supported by our facilities which are both modern and wide ranging. We offer conference facilities for up to 200 people with all the technical support and comfort you could possibly need. We have meeting rooms, equipped with up to date training aids for business seminars, courses and interviews. The spacious foyer is ideal for an informal rendezvous to discuss business over coffee. All 106 rooms amply meet the requirements of the experienced traveller. Each room is spacious, comfortable and quiet and fitted with all modern amenities and naturally they are all furnished to a high standard with bathrooms en suite. The Bellas Suite - a Victorian parlour decor provides an excellent setting for small private functions. Facilities for up to 50 people - we can cater for your every need. 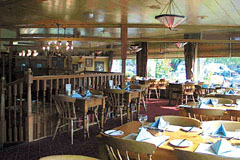 The Barley Head is a comfortable and welcoming bar which has become a well known landmark on the A40. We serve a complete range of English and continental beers, wines and minerals and of course our famous Fullers traditional ales. Open every day for breakfast, lunch and dinner. All major credit cards accepted. No service charge. A range of steaks and grills, daily specials, hot and cold lunch menu and light snacks all day.